U.S. Geoengineering of Chemtrails Defies 1977 U.N. Geneva Convention! Man-made global warming through the release of Carbon Dioxide gas into the atmosphere has accelerated to pandemic proportions throughout the world. To deny this is akin to denying the atrocities committed by Germany’s Hitler during WWII! Facts are facts, and scientific evidence proves beyond any reasonable doubt that the burning of dirty, finite fossil fuels, and the destruction of forests where trees offset the CO2 – O2 imbalance have both had a profound impact on global warming. So what does the U.S. do about this problem? 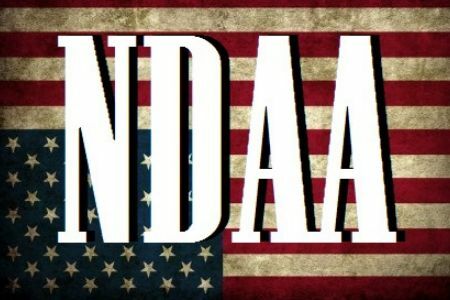 The U.S. engages in geoengineering and weather modification through the use of military jets to spray America’s skies and NATO allies’ skies with chemtrails! This is in direct violation of the 1977 U.N. “Convention on the Prohibition of Military or Any Other Hostile Use of Environmental Modification Techniques!”1 What are chemtrails though? Why does the U.S. sicken hundreds of millions of its own citizens in absolute violation of international law through the use of geoengineering by spraying chemtrails across U.S. skies? Because they can get away with whatever they want to! Since the end of WWII, the U.S. government has the ‘superpower complex’ of being able to do whatever it desires in the sake of what is best for itself instead of humanity. Therefore, the presidential administration, congress, and other corporate-run government agencies increasingly dictate one failed policy after another! This is not done in the interests of preserving the human race. It is intended to control American citizens and the overpopulation of the world, in general. What the U.S government is doing to its own people and forcing other NATO allies to do to their countries is paramount to mass genocide! Hostile geoengineering of weather modification through the use of chemtrails MUST be permanently halted not only due to the breach of the 1977 U.N. Geneva Convention, but most importantly because of its ability to cause total species extinction including all but the most elite of humankind! February 23, 2013 Update: As of late 2012, the figure for the # of U.S. soldiers serving/had served in Iraq &/Or Afghanistan shows about 770,000 troops suffering from PTSD! This is a MAJOR problem that our government owes to its soldiers to help fix as best as possible! That’s not being done…instead, just the opposite! Veterans are being turned away, especially for psychiatric treatment, in droves! The weekly Ministry of Foreign Affairs (MFA) report on current-growing trends in the United States warns that US military forces have begun acclimating their citizens to open warfare striking terror into these otherwise normal people’s lives, while at the same time the Obama regime has banned nearly 500,000 American veterans from owning guns. Likewise, this report continues, Miami, Florida residents were shocked this past week when “diving Blackhawk’s, blank rounds of machine gun fire, strafing runs, troops rappelling from choppers, and road blockades” destroyed the calm in their city like the US military had done to those living in Houston. 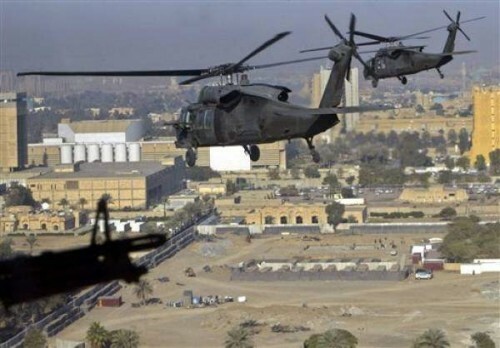 Even worse, this report continues, and as confirmed by US news reports, the US military last year built a mock city roughly the size of downtown San Diego that has risen in a remote Southern California desert to train their forces to fight in urban environments. The $170 million urban training center was unveiled last January at the Twentynine Palms military base, 170 miles northeast of San Diego. The 1,560-building facility will allow troops to practice and refine skills that can be used around the world, the US Marine Corps said. Russian military analysts contributing to this MFA report note that the building of this massive urban warfare center at Twentynine Palms is “extremely troubling” due to its “radical departure” from the US militaries Fort Irwin National Training Center (NTC) which is the major training area for American troops being trained for warfare. Where the NTC focuses on training American troops for war scenarios in their current theaters of operations, these analysts say, Twentynine Palms was built exclusively to train them for operating in US cities against their own citizens with the emphasis on protecting corporate buildings (banks, government buildings, etc.) over the lives of their supposed enemies. Another troubling aspect to Twentynine Palms, this MFA report says, was the Obama regime discontinuing in 2010 its listing as a census-designated place (CDP) thus depriving the American people of knowing how many tens of thousands of troops are being trained to invade their nation’s cities. Of perhaps even greater concern to the American people, this report continues, was President Obama’s signing three “presidential memoranda” on 16 January, of which the first was directing all US federal agencies, including the military, to identify relevant records to be put into his nations National Instant Criminal Background CheckSystem (NICS) which designates those who are able to buy weapons. Where the propaganda US media reported to the American people that Obama had signed 23 “executive orders” relating to gun control, this report says, Russian legal analysts note that no such thing occurred. Rather, these analysts say, Obama initiated “executive actions,” knowing that the former (executive orders) would have to be made public, but the latter (executive actions) can, and was done in secret with no American being able to see for themselves what his full actions against them really are. Those most directly targeted by Obama’s “executive actions” from owning weapons, this MFA report says, are the 247,243 US veterans from the Iraq and Afghanistan wars who were “coded with potential PTSD” between Oct. 1, 2001 and June 30, 2012, and up to 13% of the estimated 1 million men and women who served in the Vietnam war who are still alive and have been designated with PTSD which adds another 130,000 to this “not allowed to buy guns” list. To who in the US has the power to designate American veterans as being “mentally ill” was settled this past 31 August 2012 when Obama signed an Executive Order titled Improving Access to Mental Health Services for Veterans, Service Members, and Military Families which gave his regime the sole power of evaluating the mental health status of all US military veterans, regardless of when they served. With Obama now having the power to designate all US military veterans as being “mentally ill,” and with him now having the NDAA forbidding these veterans from being able to appeal their “mentally ill” designation, and with them all now all being placed into the NICS database which will forbid them from buying weapons, this report concludes with the stunning fact that there is nothing to prevent him from disarming every single military veteran in the entire United States. With Obama now seemingly adhering to China’s Communist Parties order last week to totally disarm the American people, and with his Department of Homeland Security (DHS) chief, Janet Napolitano, openly praising the trampling of the Posse Comitatus laws which have kept US military forces from operating in America against its own citizens, one can only wonder how much more these people can endure under a tyrannical regime that has turned their once vaunted American Dream into what it has become today…an American Nightmare.